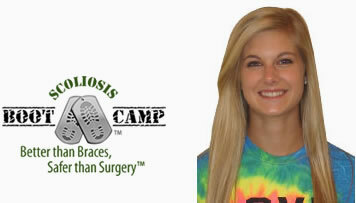 Part of the problem with traditional scoliosis treatment is the way scoliosis is detected. Most doctors rely on the Cobb angle, which is a measurement of lateral bending visible on an x-ray. Although researchers agree that scoliosis is a three-dimensional spine deformity, most still use this two-dimensional measurement. Surface topography, 3D posturography, MRIs and spinal ultrasound all provide more relevant information about the scoliosis deformity than the 80-year-old Cobb angle measurement. Doctors need to analyze your child’s posture for a tipped shoulder, a high hip, a forward head posture, a sway back posture or poor alignment from the skull to the pelvis to identify smaller curves. A tool called a Scoliometer also helps us detect small curves. Early detection is especially important if scoliosis runs in your family. The earlier we detect scoliosis, the sooner we can start Early Stage Scoliosis Intervention Treatment and work to stop scoliosis progression. Scoliosis creates a twisting of the spine around its axis. This is caused by lateral bending and rotation of spinal movement patterns. Picture a rubber band being twisted. This twisting causes severe torque that makes the existing spinal curve twist and bend even more. We call this self-feeding loop the “coil-down effect.” We can often see this spinal deformity in your child’s torso or notice a rib hump before the Cobb angle measurement indicates a problem. When treatment begins while the curvature is minimal, we can halt this crankshaft phenomenon and greatly increase the odds of reducing a curve to 10 degrees or less. Most cases of scoliosis are idiopathic, meaning they have no known cause. Yet the progression of scoliosis is caused by a miscommunication between the brain and the muscles. The brain doesn’t realize that your child’s posture is out of alignment, so it doesn’t send the messages telling the muscles to correct the spinal curvature. ScoliSMART™ training focuses on correcting that neuromuscular miscommunication. Our Auto Response Training creates new muscle memory and coordination that helps the body stabilize. This exercise training lowers the chance that scoliosis will get worse and often reduces the curve to less than 10 degrees. 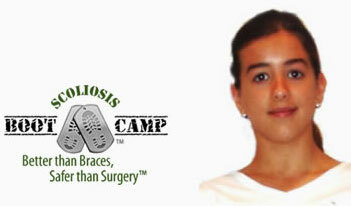 No scoliosis treatment can “fix” the condition 100 percent. Beware if someone tells you they can “cure”scoliosis—there is no cure. The best result is to halt progression and reduce the curve as much as possible. Thankfully, a genetic test developed in 2009 called ScoliScore™ tells us the probability that your child’s scoliosis will progress to 45 degrees or more, which is when surgery is often recommended. This saliva-based DNA test shows the probability for extreme scoliosis progression is less than 1 percent in 85 percent of children. This is good news. It’s also good that your child won’t be required to have multiple x-rays year after year—a monitoring method accompanied by the danger of radiation exposure. The Cobb angle measurement is not so important when we use ScoliScore testing. The test allows us to focus on building new muscle memory instead of recommending ineffective treatment like scoliosis braces. Frenchman Ambrose Pare created the first metal scoliosis brace in 1575. Many others have been created since then, but patients tell us they still look and feel terrible. 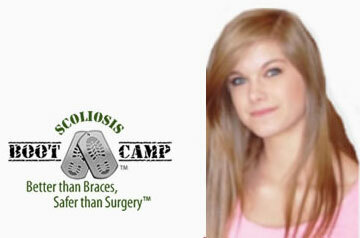 A scoliosis brace usually causes more harm than good. It’s typically prescribed if your child’s curve measures 25-40 degrees, the measurement of moderate scoliosis. This treatment squeezes the ribcage and the pelvis for up to 23 hours a day in an attempt to force the spine to straighten. In some cases, it appears the brace is helping in follow-up x-rays. 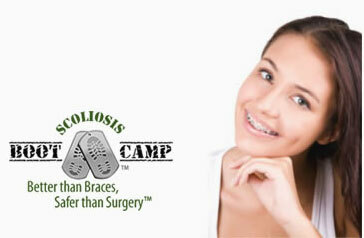 But the condition worsens as soon as the brace is removed. That’s because your child’s muscles are weakened and joints become terribly stiff when they are not allowed to move. 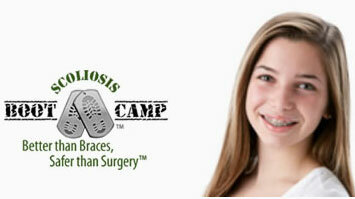 A rib hump, breathing problems and other complications often occur within weeks of using a brace. 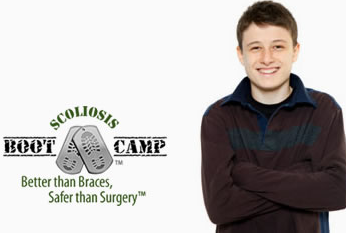 Read more about the problems with scoliosis braces here. The low success rates of scoliosis braces combined with the physical and psychological damage they cause make us question why anyone would prescribe them. Admitting traditional scoliosis treatment doesn’t work is the first step toward innovative changes. 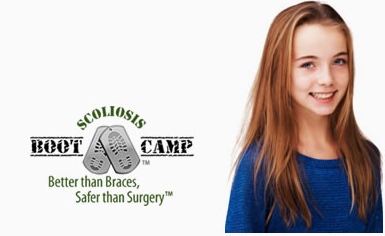 Your child can beat scoliosis, even if his or her curve is 25 degrees or more. European research is connecting scoliosis to low levels of certain hormones and the brain not responding to these hormones. These hormones include leptin, melatonin, calmodulin, serotonin and growth hormones. Understanding how the brain communicates with itself and parts of the body helps explain this miscommunication. Nerve pathways are like city streets with junctions similar to intersections. Each intersection has a neurotransmitter, like a street light. When the brain sends a message, the neurotransmitter must tell the message to continue through the intersection and go throughout the nervous system. Neurotransmitters in the brain each have different functions, like slowing messages or accelerating them. When even a few neurotransmitters are deficient, the flow of messages is disrupted or too many are transmitted too quickly. Wrecks are the result in the street analogy. Neurotransmitters are typically made from certain B vitamins and amino acids. We can test your child for neurotransmitter imbalances and restore the body’s communication with supplements. For example, many scoliosis patients are deficient in serotonin. Serotonin-controlled nerve pathways are responsible for satiety, happiness and dynamic postural control. Serotonin is also converted into melatonin; and melatonin deficiency is tied to scoliosis. Your child can take over-the-counter amino acids that the body converts into serotonin, correcting both hormone imbalances. Fixing these imbalances helps your child experience greater, longer-lasting success with muscle memory retraining. Making the right scoliosis treatment decisions is difficult for you and your child—especially if you’re not presented with all the options. You deserve to know that scoliosis is not simply physical. Treatment shouldn’t be, either. Is your child disabled? Can the treatment cause disability? Does your child suffer from back pain? Can the treatment cause back pain? Does your child have a rib hump? Can the treatment cause one or make it worse? How is your child’s quality of life now? Will the treatment improve it or worsen it? Are your child’s breathing functions good now? Does the treatment pose a threat to breathing functions? How is your child’s psychological well-being? How will it be affected by the treatment? 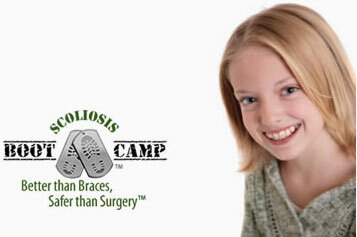 Does your child face scoliosis progression in adulthood? How does the treatment address this? Will further treatments be required when your child is an adult, regardless of the treatment? 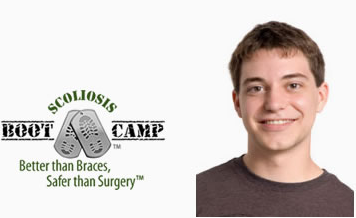 We can help you learn about scoliosis and your treatment options. No matter what you’ve been told, you deserve a second opinion. We’re not going to promise a quick fix or magic potion. 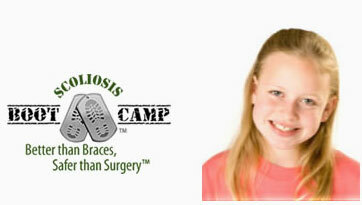 We will give you treatment options to improve your child’s condition and life—forever. Get help today.